These powerful words were penned by the founding fathers of the United States of America in the second paragraph of the Declaration of Independence. Every time I read them, they hit me right in the chest. 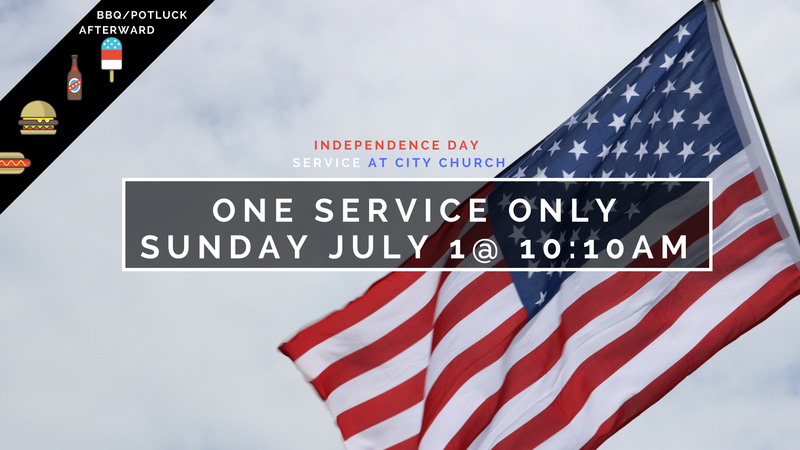 In honor of this enormous moment in our nation’s history, City Church is planning a special “Independence Day” service this upcoming Sunday July 1st at 10:10am. It’s not a proper celebration without a barbecue right? In order to make it so everyone could enjoy a nice potluck gathering afterward, we are only having one service at 10:10am this Sunday. Here are some things to know about this upcoming Sunday (and some ways you can help out). 1. We need people to sign up to bring dishes! The church will supply burgers/dogs/buns, but we are counting on you guys to bring the rest of the goodies. Sign up to bring something online at lovehopecity.com/bbq. If you have a hard time with the techie component, you can call our church office at (714)795-3945 and we can help you. 2. We’ll have a special performance from the kids. In honor of our brave nation, our kids will be singing “Brave” on stage together. It’s destined to be cute, fun, and an opportunity to praise God with our little ones. 3. We’ll have some patriotic elements. Christians should praise God for the opportunity to worship freely in a country as we readily enjoy. 4. It would be a HUGE HELP IF YOU WOULD PARK OFF SITE! Since everyone will be in one service, parking will be really tight. As your pastor, I kindly request that you park at the Anaheim Public Library for this Sunday (or on the surrounding streets near the church). This will make space for newcomers. Lisa, Nygel, and I are looking forward to seeing you on Sunday! 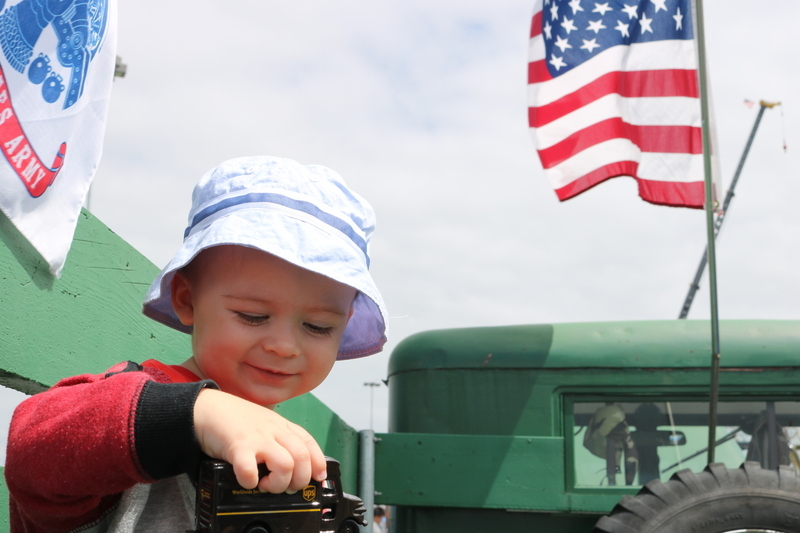 Here’s a cute picture of him from a recent “Touch A Truck” type of event. He LOVES trucks right now. By the way, what a “adorable” pic of Nigel??? ?